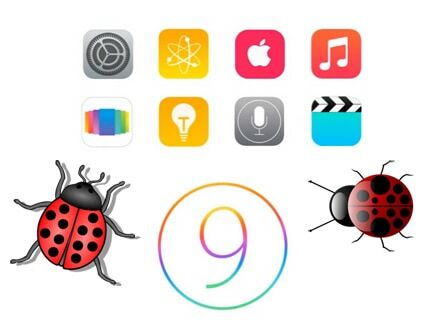 iOS 9 isn't always good, and there are in fact many iOS 9 update problems and drawbacks on iPhone iPad. For users who have problems with the upgrade and seek for ways to solve the problems, the best solution is to downgrade iOS 9 to iOS 8 (or upgrade to newer iOS 11 or 12, whichever works well on the idevices). How to downgrade from iOS 9.3 to iOS 8 can be a pain and time-consuming task while it can also be very easy, only if you follow the downgrade process below. If you don't want to endure any data loss problem when downgrading iOS 9 to iOS 8, especially those cherished memories saved on your iDevices, go ahead with MacX MediaTrans, which is able to backup and transfer photos, videos and music from iPhone iPad to Mac, and vice versa. Ready for iOS 12. Since iOS 12 is available on Sept 17, 2018, many users rush to upgrade their iDevices to iOS 12 for enhanced performances, faster speed, more advanced features like group facetime, smarter Siri, more sensitive ARKit 2, screen time etc. Yet after they have updated, they find there are some iOS 12 problems, namely cannot connect to App Store, battery drains fast, Wifi drops constantly, and so on. For that, if you've regretted to update to iOS 12, you can downgrade iOS 12 to iOS 11.4 following the tips as well. 2015 proves to be a great year for smartphones as three digital giants have released new operating systems for their phones and tablets. Yeah, they are iOS 9.3, Android M and Windows Phone 10. While being eager to see what they will bring, not all users are happy with the new OS, at least for iOS 9.3 users. With so many users asking for iOS 9.3 downgrade to iOS 8, let's take a close look at the major update issues that forces users to downgrade. The newly released iOS 9.3 surprises Apple fans with a new feature named Night Shift whose role is to help you have a better sleep after adjusting your iPhone iPad display brightness and colors. In the daytime, it automatically turns the light a little bit brighter and makes the light much warmer when the night is coming. But problem is that some users complain they can't find the Night Shift automatic sunset/sunrise option in the system. How to fix this? Like its predecessor, there are some troubles to get along with third-party apps. After update, many users are crying that they are shocked and disappointed that part of the apps are simply not compatible. It's a common issue in both iOS 8 and iOS 9.3, but Apple systems are well known to host more and more apps while iOS 9.3 has not. So the only quick fix to this problem is to downgrade to iOS 8 from iOS 9.3. In fact, every time when a new iOS version comes out, we will see poor performance on older iPhone iPad. Yes, after the update, users will encounter problems in working perfectly, especially on the oldest iDevices like iPhone 4S. Even users of the latest iPhone X/8/8 Plus can't survive. But why do users still look for how to downgrade from iOS 9.3 to iOS 8 if it's a common problem? iOS 8 is better optimized to provide better performances. Like every Apple system, there may be various iOS 9.3 update problems, bugs and issues that need users to discover. This is also a major reason that users would like to downgrade iOS 9.3 to ios 8. According to adopters' feedback, those bugs can cause the Springboard to crash or the device to reboot. If so, you are suggested to downgrade to iOS 8 from iOS 9.3. Users can easily run into battery drain issue after an update and update ios 8 to iOS 9.3 is no exception. Many users are complaining that the new system eats battery extremely fast. It's really frustrating looking at the the battery dropping dramatically while you have done nothing. There are many tips on how to improve iOS battery on iPad iPhone, but why bother. Downgrade from iOS 9.3 to iOS 8 now! In addition the most-complained problems mentioned above, there are many other small but annoying problems: jailbreak loss, insufficient technical support, Bluetooth problems, music playback problems etc, just to list a few. But here, rather than introduce the iOS 9 update problems, let's see how to downgrade from iOS 9.3 to iOS 8. Some iPhone and iPad users who tried to download Apple's iOS 9.3 update experienced trouble to do it successfully. Those who failed to upgrade got an error message instead of a new operating system however, "Software Update Failed: An error occurred downloading iOS 9.3." This anger many users but they have to downgrade from iOS 9.3 to iOS 8. In fact, there are many other update problems you may encounter in the process of upgrading. With the release of iOS 12 in September 2018, many users try to get iOS 12 update for avoiding iOS 9.3 update problems. But, no one can confirm whether there are complex iOS 12 problems. 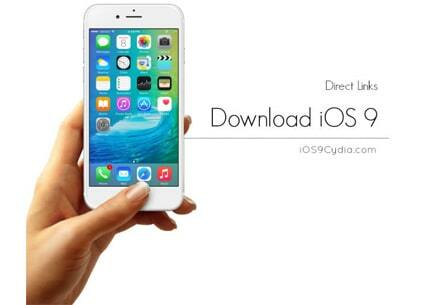 Therefore, it is pretty neccessary for you to know how to downgrade iOS 9 to iOS 8. The iOS 9.3 downgrade process is simple but a little more technical than average iOS restore process. So for newbies, we are going to show you how to downgrade to iOS 8 from iOS 9.3 in details. To ensure the complete data transfer, here we are going to downgrade iOS 9.3 in three steps: backup data, downgrade, data restore. The same also applies to downgrade iOS 11 to iOS 10 on iPhone iPad iPod. If you don't want to loss all your precious photos or contacts saved on your iOS devices for years, before you upgrade to or downgrade from iOS 9.3, you had better go through the data backup and recovery process to avoid things from going haywire. So first, check how to make iOS data transfer. To enable that, you will need to put iPhone or iPad on recovery mode. 1. Turn off your devices (Hold down the Sleep/Wake button until Slide to power off appears, the slide). 2. Launch iTunes on your Mac or PC and connect the iPhone, iPad, iPod touch to the computer using the USB cable. 3. Boot your device into DFU mode (press and hold the Home button and the Sleep/Wake button at the same time). 4. Wait for 10 seconds, then release the Sleep/Wake button. 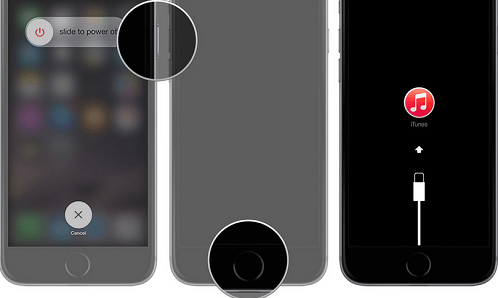 Continue holding the Home button until your device gets detected in recovery mode in iTunes. This means that your device is ready to downgrade to iOS 8 from iOS 9.3. Note: When it comes to content backup with iTunes or iCloud, it always disappoints us as we cannot backup files selectively. For those who want to backup specific media files on iPhone iPad, you can try MacX MediaTrans which can get rid of drawbacks of iOS 9.3 and help users to get ready for each update or downgrade by copying music, photos and videos from iOS 9.3/8/7/6-based iPhone X/8/7/6S/6/SE/5/4S, iPad Pro/Air 2/Mini 4/3, iPod Touch 5/6 to Mac, and reversely. 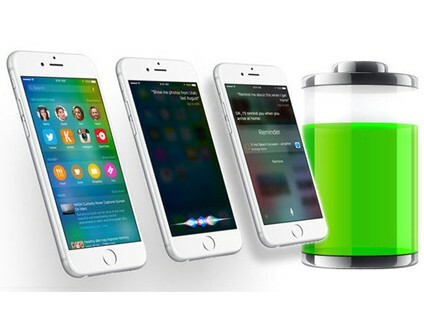 Obviously, you don't need to worry ahout how to backup iPhone 6 without using iCloud or iTunes. After you create a backup of iOS 9.3 device in iTunes, the process to downgrade iOS 9.3 to iOS 8 gets easier. 1. 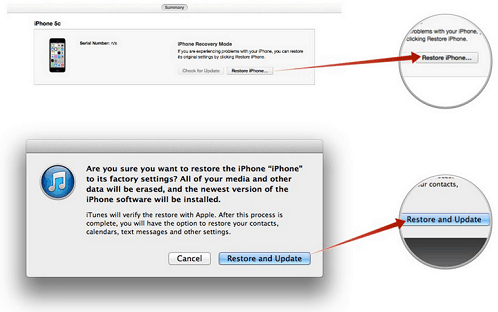 Select the Restore iPhone button on the iTunes popup and click Restore and Update to confirm. 2. Wait for the iTunes to o through the restore/downgrade process which requires 10 to 15 minutes. Once the downgrade process is complete, iTunes will restore your iPhone, iPad, or iPod touch to iOS 8.4. Then you can stay away from the iOS 9.3 update problems. Once the process of ios downgrade form iOS 9.3 to iOS 8 is accomplished, you won't be bothered by the problems with iOS 9.3 update as you will have a clean copy of iOS 8.4, which also means that there is no previous data on your restored iPhone iPad iPod. To get all your photos, music, contacts back, you need to restore your data backup. 1. 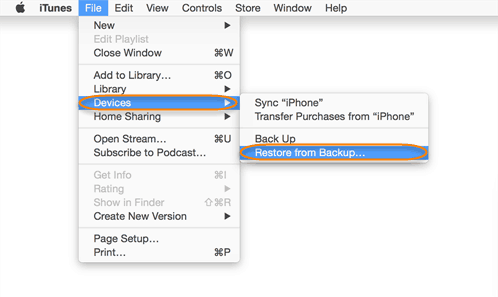 Select Restore from this backup in iTunes. 2. Choose the data backup you made before you downgrade iOS 9.3 to iOS 8. Alternatively, you can use the above iTunes alternative Mac to transfer the backuped video and music file from computer to iDevices with ease. 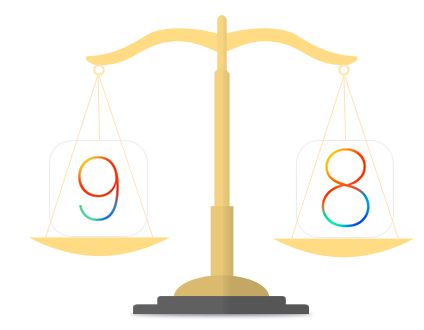 While we have seen various iOS 9.3 cons and disadvantages, iOS 9.3 is an irresistible trend. Put aside those annoying problems, it undeniably delivers a number of improvements and new features. So below we are going to show you some major benefits and advantages of iOS 9.3 over iOS 8. 1. New system font named San Froncisco looks nicer on iPhone iPad. 2. 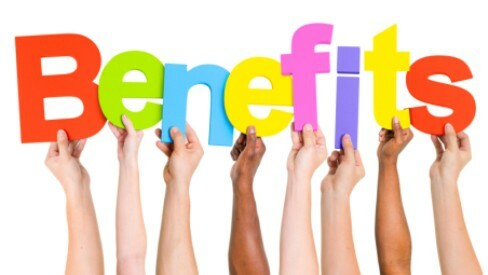 Proactive Lifestyle Management feature provides better lifestyle management. 3. Enhanced HomeKit enables remote control on parts of users' homes from their iOS 9.3 devices. 4. Improved Maps which integrates public transportation data. 5. Expect new iPhone 7 wallpapers and themes. 6. Trusted Wi-Fi in iOS 9.3 to intelligently distinguish between safe and unsafe Wi-Fi connections. 7. Better battery life and Low Power Mode. 8. Smaller iOS 9.3 download size. 9. Split Screen and Picture-In-Picture Multitasking. 10. Smarter Siri and cleverer keyboards. Download iOS 9.3. > Download the latest version of iTunes. > Register your devices UDID. > Back up your device. > Restore your device to iOS 8.4. > Install the iOS 9.3 beta. > Wait. > Slide to upgrade.